Hayabusa is a decent and basic assassin type character. He hits hard and can take a little damage before having to back off. Description: After dealing 5 hits of ability damage on the same hero, Hayabusa will regen HP. The lower his HP is, the more he will regen. Description: Throws out three shurikens in a fan-shaped area in front of him. Each shuriken deals 270 physical damage to the first enemy it hits and lowers movement speed 50%. The same enemy can take up to 200% damage. 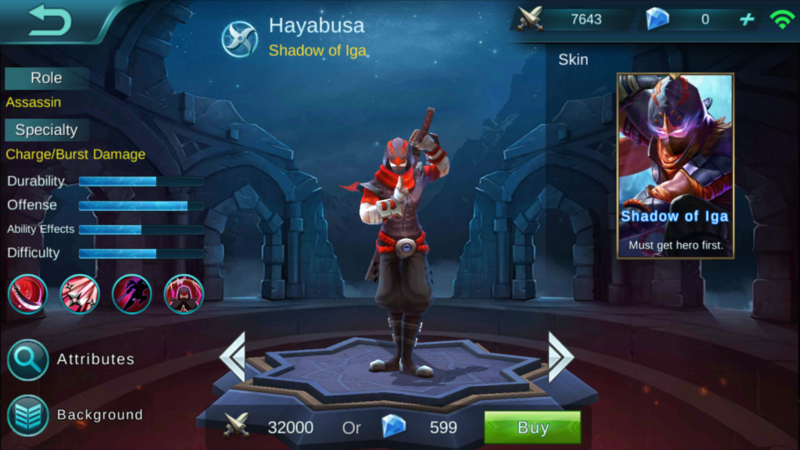 If 3 shurikens all hit the same hero, then Hayabusa will regen 50% of his spent mana. Description: Releases four phantoms of himself in 4 directions. When a phantom encounters an enemy hero, it will cause a 50% slow down effect, deal 130 physical damage, and burrow itself into the enemy’s body. The next use of this ability will move Hayabusa to the phantom’s location, and if directed towards a phantom inside of an enemy, it will deal an additional 130 physical damage to the enemy. Description: Turns into a shadow and dashes around the battlefield, dealing multiple hits of damage to enemies within a certain area. Each attack deals 160 physical damage and must kill minions. Damage will increase 5% per hit for multiple hits in a row on the same hero. 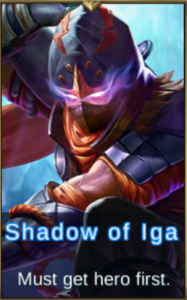 In the town of Iga, the strongest ninja of every generation receives the title of Shadow, responsible for the most dangerous and difficult missions, protecting the town of Iga day in and day out, all without the knowledge of its inhabitants. 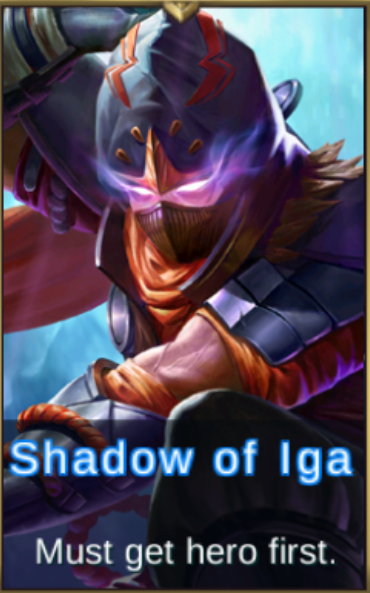 At present, the freshly-anointed Shadow of Iga, Hayabusa, has been transported to the Land of Dawn to to carry out the most dangerous and difficult of missions: find and kill previous generation’s Shadow who betrayed and killed his friend, the one who was once lauded as the greatest ninja Iga had seen in centuries.